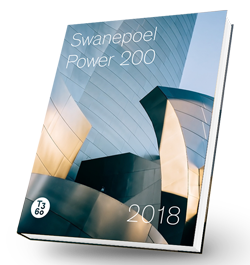 TORONTO, January 23, 2018 – For the fifth year in a row, Swanepoel Power 200 (SP200) has named Phil Soper, President and CEO of Brookfield Real Estate Services, the most influential person in Canadian residential real estate. The SP200 is the definitive ranking of residential real estate leaders across North America. Soper was ranked 14th overall, rising two positions from last year. Soper has an established history of elevating Brookfield Real Estate Services’ brands to the forefront of North America’s highly competitive real estate industry. In 2016, he became the first Canadian to receive the Real Estate Leadership Award at the U.S. National Realtor Expo as “an industry visionary who embraces innovation and blazes new paths.” Real Estate Marketing magazine declared him one the 25 most important leaders of the past 25 years and in 2015, Soper was honoured as “CEO of the Year” by the Canadian Public Relations Society, a first for a real estate industry executive in the long history of the award. Soper became president of Royal LePage in 2002 and CEO of Brookfield Real Estate Services in 2004. Under his direction, Brookfield Real Estate Services has more than doubled its agent count since its inception in 2003. Prior to his real estate career, Phil Soper was an executive with technology giant IBM where he held national and global leadership roles in professional services and technology sales. He is a graduate of the University of Alberta School of Business, and the University of Western Ontario’s Ivey Executive Program.